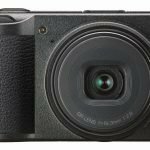 If you are on a lookout for a good brand and camcorder model to get then you might want to add the Sony HXR-NX5U NXCAM to the top of your list. The Sony HXR-NX5U NXCAM Professional Video Camcorder is one that has swarmed in a lot of 5-star feedback. Much of this may be due to the incredible Zeiss lens it comes with, which is, without a doubt, of a prosumer level. Whether for summer trips or winter breaks, your Sony HXR-NX5U NXCAM will offer you stunning shots of great definition. 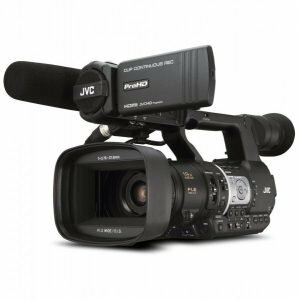 This camcorder model can be pushed to the highest level possible and still offer excellent definition, even under low-light conditions. 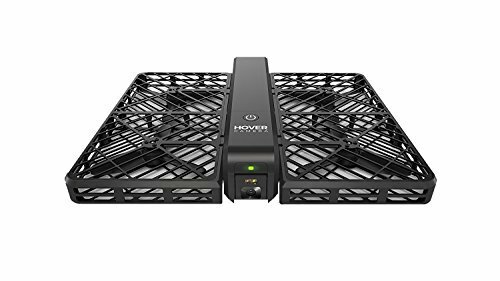 One of the most outstanding distinctive traits the HXR-NX5U has is its stunning ability to capture SD and HD videos in 2 formats, MPEG and AVCHD, then save them to solid state media. Its bitrate limits may constrict its record capabilities to only 24 mbps internally, but it still gives the option of recording to an external recorder that has a much higher bitrate. This revolutionary recording format utilizes AVC/H.264, MPEG video codec. It allows the users to capture HD video footages onto any random access media, for instance, an SDHC memory card or a Memory Stick PRO Duo. HXR-NX5U makes use of sophisticated and highly intelligent algorithm, making AVCHD a compression format that’s efficient and ideal whether for memory recording or IT-based editing. Other than the HD format for recording, SD format can be a great choice too. This format utilizes MPEG-2 which has a similar compression codec as the standard DVD-VIDEO disc. Users who wish to make deliveries in DVD-VIDEOs may get video data of great SD quality with the use of this format. Another distinctive trait that often entice consumers to be on a lookout for the HXR-NX5U is its full-raster 1080×1920 video with the option of recording 24p, 30p and 60i videos. 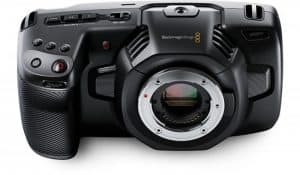 It also comes with XLR inputs and preset buttons that allow you to simply stick to capturing a 720/60p without feeling any necessity to have the features tweaked as the shots already are very sharp, clear and crisp. This model superbly handles fast motion as well. It has Active SteadyShot image stabilization system which offers a powerful capability for shake-reduction, essential especially for handheld usage. 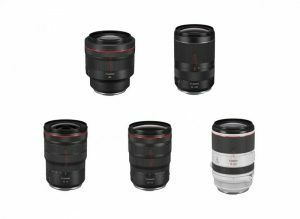 Improved detection and increased coverage of its optical lens provides for additional stabilization. It has 3 Exmor CMOS Sensors with ClearVid array making for a system that realizes excellent color reproduction, wide dynamic scope, high sensitivity and high resolution no matter the codec. Its quality image would make just about anyone want to convert to AVCHD any given time. buttons, switches or the touch panel. 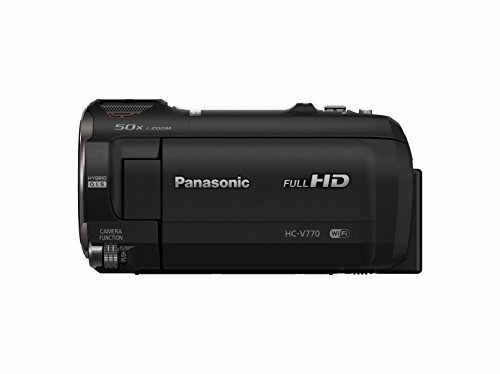 This particular interface has been designed most especially for this camcorder model. 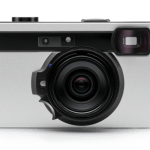 Operations are made more straightforward and easier with the combination of a well-defined layout, EVF or XtraFine electronic viewfinder, and the high-resolution LCD panel. HXR-NX5U has been equipped with an LCD touch panel that has an interface designed specifically for this particular model. Majority of the settings may be adjusted through touch screen maneuvering, making the work instinctive, easy and straightforward for the operators. Standard operation as with using switches and buttons have also been made available though, providing users with options much suitable to their shooting situation. G Lens, also featured in many other Sony camcorders, is one that already has excellent market reputation. In HXR-NX5U, this very sophisticated lens has been optimized, complementing the camcorder’s state-of-the-art image-processing technology and image sensor. 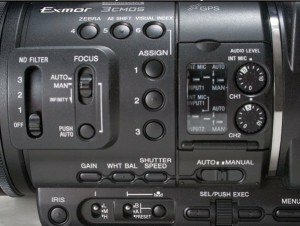 On the camcorder’s lens barrel, you will find the zoom, iris ring and focus, a design that offers operability much similar to lenses that are generally interchangeable. This design makes it easier to manage the zoom, focus and iris controls. With the nearly circular 6-blade iris diaphragm, creating a background blur is now made more desirable with results expected to be of extreme beauty. Helping vary the field depths with the iris control are the 3 integrated Natural Density (ND) filters – 1/64, 1/16 and 1/4. This is another feature that holds the Sony HXR-NX5U as one of the most outstanding camcorders out on the market today. Its built-in GPS locator allows the direct recording of satellite navigation data onto footages for reference and for posting on online mapping systems. This data is often deemed invaluable especially when in search for footages or evidences of when and where footages were recorded. This is a new integrated feature which allows continuous recording with the use of 2 memory card slots. Now you can record HD footages of up to 6 hours without having to worry about cut-offs due to insufficient memory capacity! Memory recording, especially when using affordable memory cards, doesn’t only offer efficient workflow at shooting but also at the editing stages. 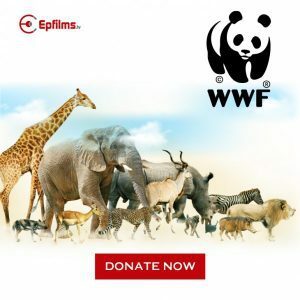 With the camcorder’s hybrid recording, users get to achieve a completely IT-based workflow, add to that the bonus of having automatic data backup. The HXR-NX5U takes the entire downloading and converting aspect in a whole new level. Its popping SDHC card offers so much convenience that now, viewing footages straight on laptops has been made much easier. Sony has introduced the HXR-FMU128 which is an optional 128GB Flash Memory exclusively made available for HXR-NX5U camcorder model. This allows continuous recording of up to half a day and at the highest possible bit-rate. The HXR-FMU128 is an option most ideal for recording seminars, weddings, music festivals and even for shooting documentaries, which usually require long recording times. Audio recording formats on the HXR-NX5U may either be Linear PCM or Dolby Digital stereo, with the former providing audio quality that is uncompressed. Users who are looking into getting the best audio quality as with for making music videos will certainly enjoy the audio data of CD quality. 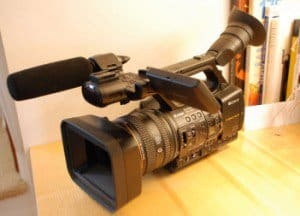 This Sony camcorder model has a width of 6-7/8 inches, length of 17-3/4 inches and stands at 7-5/8 inches tall with the inclusion of its shotgun microphone. It tips scales at 5 ½ lbs, including its stock NP-F750 battery and microphone. 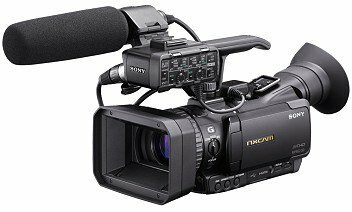 Professional videographers are most certain to find the Sony HXR-NX5U incredible as it is lighter and more portable as compared to other professional camcorders out in the market these days. As with other prosumer camcorders, HXR-NX5U comes a little pricey. It is available in the market between $4,500-5000, a value which many may immediately hesitate going for. 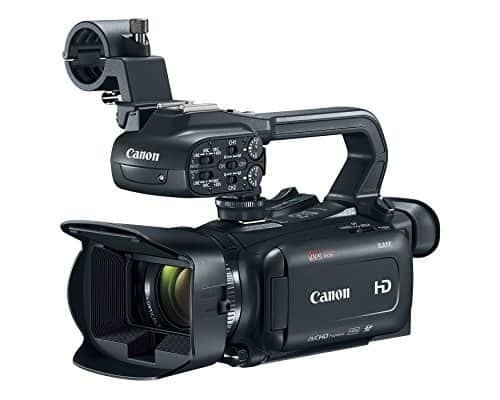 However, with this price actually comes functionality and benefits that no other standard prosumer camcorder can offer. For professionals, this can be a great investment considering how other professional equipment can cost much higher. Sony HXR-NX5U is the first ever product of Sony’s NXCAM generation. It is the newest category of tapeless memory recording, providing the ideal balance for performance and power in this digital age. With its revolutionary AVCHD image format, this model is guaranteed to last long hours of recording even when using ordinary consumer memory cards. 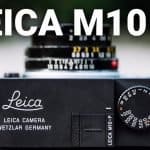 Thanks to its dual memory recording function, users can now be free from having to constantly worry about cut-off shots due to insufficient camcorder memory. HXR-NX5U has the ability to facilitate a smooth IT-based workflow, garnering it the potential to change profoundly the way contents are created. Its simultaneous hybrid recording has been made available in both SD and HD formats, using the optional 128GB flash memory unit, HXR-FMU128. Regardless of what format you decide to shoot your videos or images in, breath-taking image quality is guaranteed with the camcorder’s exceptional features – Exmore CMOS sensors with ClearVid array and state-of-the-art G Lens. Whether you are an amateur in the field of videography intending to go pro or already a professional, you will certainly get to enjoy the picture quality Sony has to offer and will be provided nothing less of what you need.